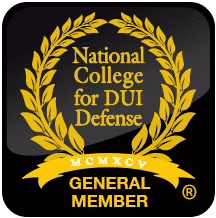 From my years of experience in Rhode Island DUI Defense I would say the most common question people search online after being released from jail is How to fight a DUI in Rhode Island. I can't blame them as a DUI can have a negative effect on your future including many hardships such as fines, community service, special auto insurance requirements, job loss, loss of license, and lack of basic transportation. 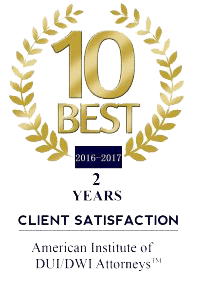 I think the first step in How to fight a DUI in Rhode Island would be to call an experienced Rhode Island DUI Lawyer such as myself (if you searched for this info and landed here call me now at 401-229-5088 as I am well versed in how to fight a DUI). After being arrested for DUI, your case will move quickly, and legal expenses can begin to accumulate just as rapidly. Every DUI case is unique unto itself, and I need to know the specifics of your arrest as soon as possible so I can begin to formulate a defense strategy that is particular to your case. When you call me, I will get the details of your arrest from the arresting agency. I will then look at the entire arrest process to see how everything was handled. We will set up a meeting as soon as possible to discuss our plan and then enact it. The Breathalyzer: The breathalyzer used by the police in Rhode Island is not always accurate. Since they are such delicate machines, they can frequently malfunction and are not always calibrated correctly. Also, things, like being on a low carbohydrate diet or having diabetes, can also contribute to a higher BAC. Another important factor to consider is that if you waited a long period after you were initially pulled over you may have absorbed more alcohol meaning that you may not have been as intoxicated at the time that you were pulled over. If the police made any mistakes (which they usually do) in the arrest process: There are over a dozen things the police must do during the time that you are breathalyzed. These details include the amount of time between the mandatory two reading they must obtain, as well as allowing you to make a private phone call before you take the test (which should be to me). Being arrested for a DUI is a scary time in anyone's life that can have terrible consequences if not handled correctly. But you should not have to live in fear of it ruining the rest of your life. Having an experienced Rhode Island DUI Lawyer on your side gives you your best chance to win your case. If you need to learn how to fight a DUI in Rhode Island, call "The RI DUI Guy: Rhode Island DUI Attorney Chad F. Bank right away at 401-229-5088. I know How to fight a DUI in Rhode Island.